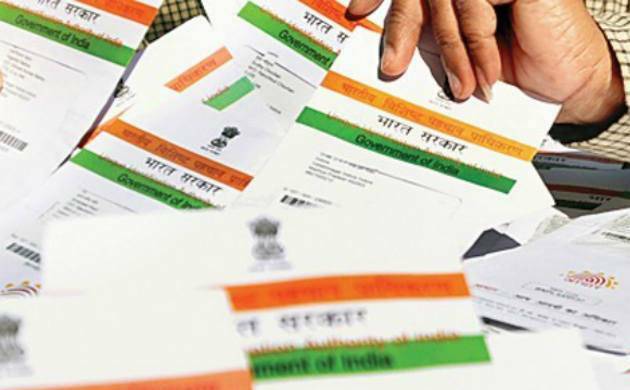 According to Government New rule, It’s Compulsory to Link Aadhaar Card Number With Sim Card Mobile Phone Number online in Idea,Vodafone,Airtel,Bsnl,Docomo,Reliance to keep it active or continue Sim Services for Lifetime. Due to Fake Sim cards , Government of India Taken New action where Users of all networks have to Link Aadhaar Card Number With Mobile No. to Continue Activation of their Sim Card. Here we Share a very Easy Steps to Link Aadhaar Card Number With Mobile Number online , Using this Your Mobile number will not Discontinue in Future It’s Not matter You are Using this Sim or Not. Currently No any date is Confirmed but Very Soon Sim Services will be Discontinue who Will Not Link Their aadhar Card to Mobile Number. Only Reliance jio Sim Users Will not Have to Follow This Process Because they already Done Biometric Verification at the time of Sim Purchase. Airtel , Idea , Vodafone & other networks already Sent Messages to their Users to Link Aadhaar Card Number With Mobile No. to Keep Continue Their Services. Note :- This same method will work on all Indian Operators Idea , Airtel , Reliance , Vodafone to Link aadhar card Number with mobile number. If your Getting Problem to get OTP on Aadhaar Card Registered Number Then Visit Our Article Update aadhar Card Details Online. 3 How To Check Status your Mobile number is Linked or Not ? 4.1 Its ‘s Compulsory for All Users ? 4.2 What happen if you will not Link Mobile Number & aadhar Card ? 4.3 Why only some of the users is getting This sms ? 4.4 Is it possible to Link via Other Aadhar Card Number ? 4.5 Is there any Charges or Fees ? 4.6 Where you have to Go ? 4.7 Why government taken this action ? 4.8 How to Link Using Online Method ? The method Will work After 1st Dec 2017 in which you can Link your aadhaar Card Details Online Via Otp method. Process is very simple, But only Offline No any Online Method to Link aadhaar card to Mobile Number. You have to go your nearest retailer with below Mentioned Documents. To receive Otp at the time Verification you have to Turn on your Sim card. Now the Process is Come , which you have to Follow after Reach at Retailer. Visit Your Mobile Network Operator Nearest Retailer. Now give your Mobile Number & Copy of aadhar Card. Now they will Send Otp to your Number , Just Give it. Now complete Finger Print Verification on Biometric Machine. Within 24 Hours , you will get Confirmation Sms for final Verification. Done ! Your Aadhar Card is Successfully Linked to your Mobile Number. If you are Airtel Users then Follow this Steps to Link Aadhaar Card Number With Mobile no. & Keep Active your Sim Services, Otherwise Airtel Will be Deactivate your Sim card on or Before 31st Dec 2017 So Follow this Simple steps to for Airtel Aadhar Link. If you Got Message to Link Aadhar Card then Go or Check your Verify Status by Below Method. Visit Airtel retailer / Store / Outlets / Care. Ask Retailer to Link your Aadhar Card to Airtel number, They will Ask your Mobile Number & Aadhar Card 12 Digit Number. They will Enter your Number in Their Device For Verify, At that Time you will Get 4 Digit OTP Pin. You have to Give This Pin to the Retailer to Proceed Next Step. Now Verify Your Finger Print on Scanner, Done ! Almost You Linked Your Airtel Number. That’s It , Your Airtel Mobile Number is Successfully Linked with Your aadhar Card number. Now your Sim Service will not Be Deactivate , Also you will not Get Airtel Aadhar linking Message. Vodafone Also Sending Messages to their Users to Link their Number , because they Don’t wants to Loose Their Customers so if you are Vodafone User then you Follow below Simple Steps to Complete Vodafone aadhar Link. 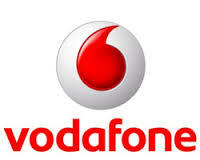 Visit your Nearest Vodafone Store or Care , Find Using Locator (You can Also Go on Nearest Mobile Retailer). Don’t Forget to Carry Aadhar Card Photocopy & Insert Vodafone Sim Card in Mobile Phone to Receive Sms. Tell them to You are getting this Warning Sms from Vodafone Company so I wants to Link Vodafone Mobile Number to Aadhar Card. They Will Enter your aadhaar Card & Mobile Number in Their Mobile Phone. You will get Otp on your mobile Phone. Give this 4 Digit Verification Code to the agent Otherwise they Will not Proceed to Further Step. Once you Otp Verification Complete , You have to Complete bio-metric verification by Putting your Finger on Scanner. Done ! Your Vodafone Sim Card Successfully Linked to your Aadhar Card Number. 31st March 2018, After this Your Service Will be Discontinued if you will not Link. How To Check Status your Mobile number is Linked or Not ? Method 1 – Call on 198 Customer Care & ask them your Aadhar Card is Linked or not via your mobile Number then they will Give You Details About this. Method 2 – Keep Checking your Sms Inbox, Because If you are not Verified Customer then they Sends Notification to All the Customers in Every 10 – 15 Days. If you are Shopkeeper then You can Earn Huge Money by Linking People’s Aadhar card with mobile Number. This Service Offering by All the Operators Just you have to Follow Below steps to get Approved. First you must be Store agent or Retailer, Because this Service is for Only those Peoples. Now Contact your Agent or Email or Contact to particular Operator & tell them you Can Do Aadhar Card Linking With mobile Number. You have to Give Some Documents, You will be ready to earn Money. Now on Every Aadhar Card With Mobile Number Linking , You will get money From the Operator. Its ‘s Compulsory for All Users ? No , Those users who will get Sms on their Number to Continue Their Services only Those Users Have to Follow this KYC Verification Process. 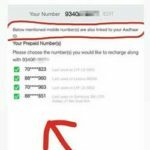 What happen if you will not Link Mobile Number & aadhar Card ? Your Sim will Be deactivated & You Lost Network Signals , If you wants to Continue their services then you have to Give aadhar Number. Why only some of the users is getting This sms ? Those users who purchased Sim by Other Documents Like License , Voter id etc they again Have to verify their sim using only aadhar Card number. If you already Done this Bio-metric Verification Activity at the Time of Taking New Connection then No need to Do this again. 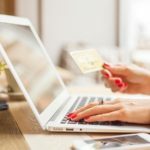 Is it possible to Link via Other Aadhar Card Number ? It’s not Possible to Link your Mobile Number With other person Aadhar Card because at the Time of Verification your Finger print Must be Matched Via aadhar Card Finger Print. Is there any Charges or Fees ? No , Currently its Free to link mobile number & aadhar card Process Free & Charges. If any Retailer Ask you To pay then Complain on 198 Toll Free Number. Where you have to Go ? You have to go Your Nearest Network Retailer For ex : for airtel Sim You have to go Nearest airtel Retailer or Airtel Store. Why government taken this action ? Due to Crime & fake Sim’s , Its Compulsory to Link aadhar card number to mobile for all new and old users. How to Link Using Online Method ? Now Government Introduced One Otp online Method in which you can Link Online via sending Sms & Otp Verification. 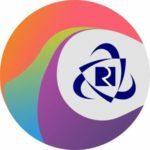 Discussion on "How to Link Aadhaar Card Number With Mobile Number Online (Otp Method)"
Is there jio 3G sim…? pls inform. Is it possible to reverify mobile number If Aadhar card is from a different state. Please reply to this obvious question as a majority of us have the same issue. My finger print is not accepted by bio matric at airtel mobile store. My age is 67yrs. Please guide me what to do. Take help of your Son or Daughter or any other relative. My aadhar linked already my husband’s Sim No. I am using daily another BSNL sim .bsnl send mean message to link your mobile No with your Aadhar No. otherwise your sim will be deactivated . I want to both these functions . CSC person says only one Sim will be link With Aadhar. I want to my bsnl mobile no.link with my aadhar . is it possible or not if yes how I can be it?. Ease guide. You Can Link up to 5 Sim from One aadhar Number. link my aadhar card to my mobile number. I need to link my number but I am in the states and not in India.My what’s app is still in use with my number I used in India. What should I do to link by number since there’s no online method? What for those, who have 2 different mob. nos & those who are not got messages, about link? You can Link Both sim’s Using One Aadhaar. My Finger Print is not matching resulting which I am not able to link Aadhaar with that of my mobile number. Is there any other process like IRIS Scanner matching. Link Your Sim With Your Any Relative Aadhaar Card who Can Trust You. 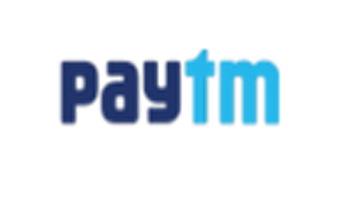 I linked Andhra no with mobile no but my retailer asked me 20rupees charges for link……is it crime?????? i want to link my airtel number with Aadhaar Card but retailer asked me 20rupees charges for link what is solution for this ?? my first prblm is related to not accepting my finger prints at the time of biometric process and second prblm is that retailer is doing this process for 25rs. chargable. please solve my prblms. First of all , Complete this Process by the help of any Family Member who trust on you & Secondly Call on 198 & Complain of that retailer. Aietel has linked my Adhar but Adhar is not verrifyng my mobile. My brother’s Rajasthan sim on Rajasthan documents but aadhar has Odisha address . Where he links aadhar ? You can link your Sim in any state. My brother’s my odisha Aircel sim on odisha documents but i am live on Maharashtra (Mumbai). Where he links aadhar ???? Sir, Jai Hind. At the time of making aadhar card my Mobile no is registered. Further this process, this process will be done repeatedly. My voda phone number 76**** had been linked with Aadhaar number , but didn’t get confirmation message . Please look in the matter . If your Sim has Linked then you will not get Sms in Future or Confirm it via Customer Care. I am also using airtell sim in saudi arabiya and i am paiyng monthly inter ational charges also.but what can i do now b coz my maney kinds of activity is belongs to this sim please think and solve the issue. Its very loss full if sim has been disconnected. My No is from maharashtra and My adhar card made in Madhya Pradesh. I went to IDEA retailor for linking adhar with my mobile no. but After finger print they said,My Adhar card from different state.in mahararashtra i will not linked.What should i do? Try on Other Stores , Even if the Problem came then you have to Go Your Home State. i have gone to mobile store to my Adhar no.. mobile.no. all the process was carried but at last my biometric finger impression nit worked, which i amm facing in my office also. what i have to do in this case. Go to Aadhar Care/Center Where they Will Solve Your Problem. My daughter is under 18yr hence do not have any mobile number. however, to avail scholarship benefits her Aadhar to be linked with Parent’s mobile number. How to link one more Aadhar number with my Vodaphone number? Vodaphone retailer is not ready to link multiple Aadhar to one mobile number. Can someone guide me? My wife has a Aadhar card . But no mobile sim card in her name . I have two mob. sim .It is required to link Aadhar with a Mob.no . Can one of my mob. 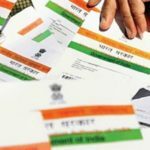 no linked with my wife’s Aadhar card?